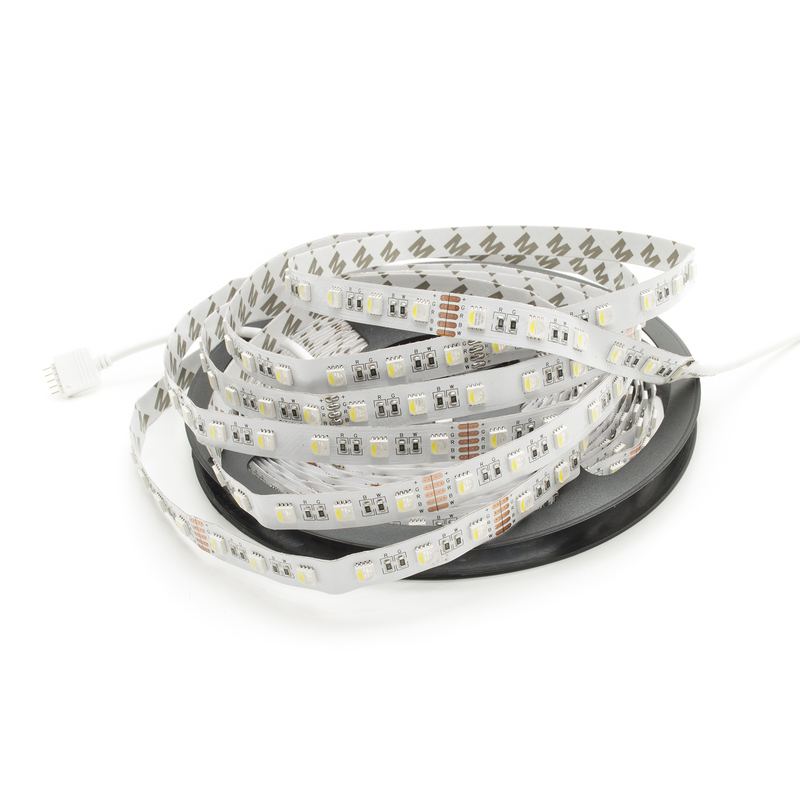 Led Strip RGBW 5 meters 300 LEDS SMD 5050, flexible and equipped with powerful double-sided adhesive, you can stick on curved surfaces. Can also be cut to your liking each bank of 6 LED's in the spot indicated. 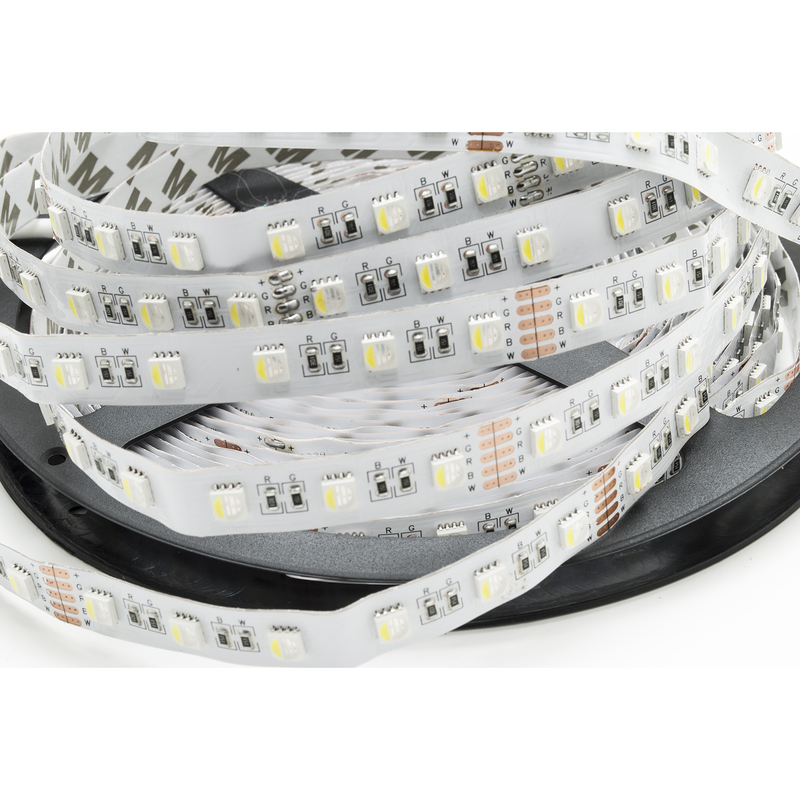 The new led smd 5050 RGBW is extremely efficient, it Spreads a uniform light with an excellent colour rendition index of at least 80Ra. 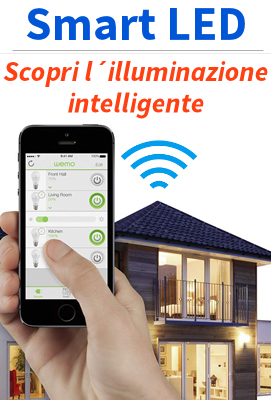 -furniture-indoor use: corridors, windows, archways, stairs, contours, trails, diy, household, shop, shop windows, advertisement, hotels. 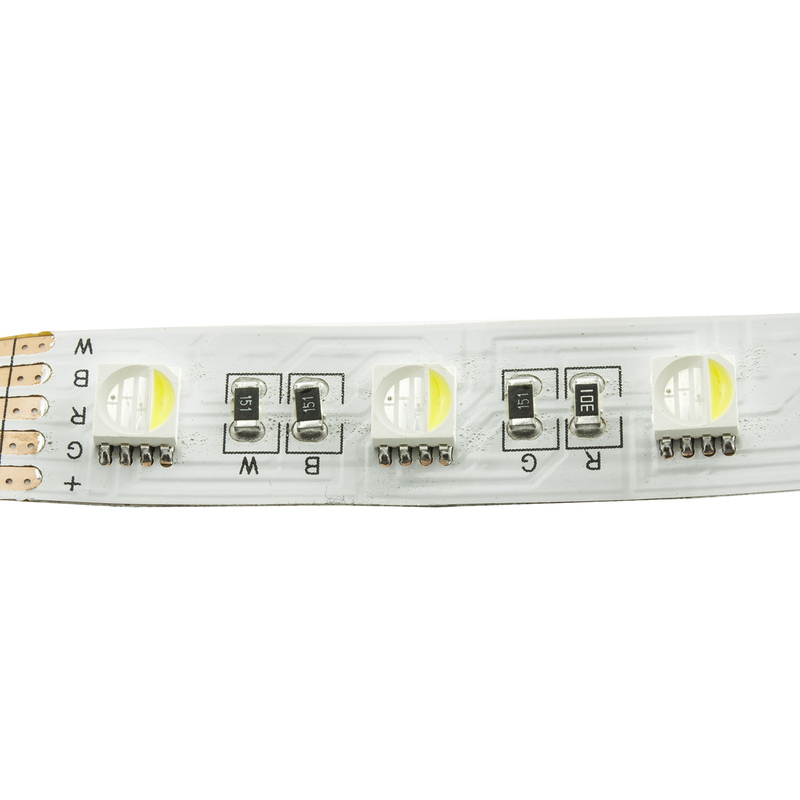 This product can be applied without drilling the surfaces affected by the installation, by means of the adhesive film along the back of the LED strip. 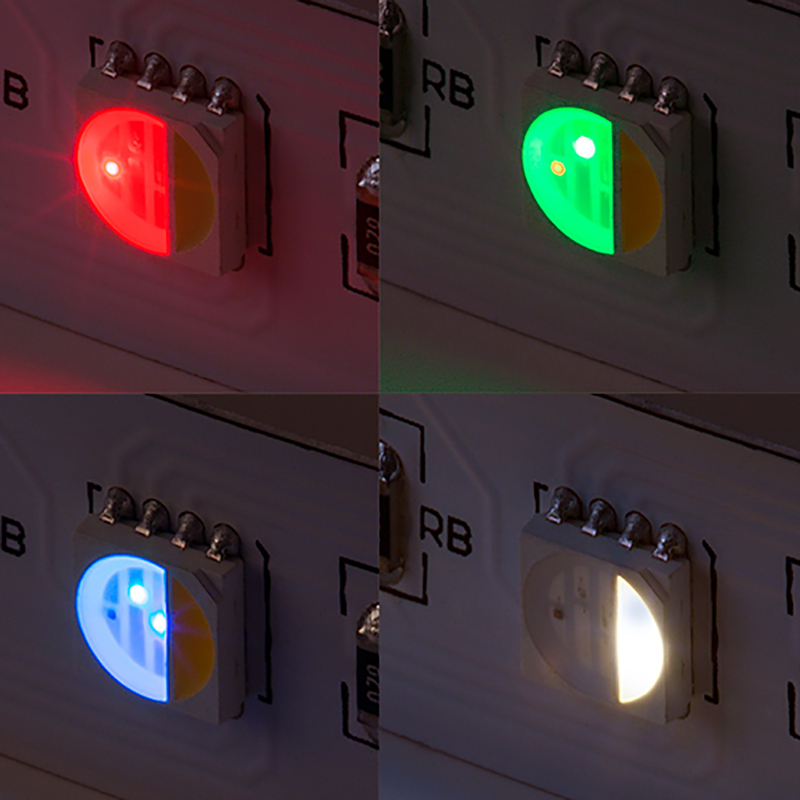 The four basic colours in a single led 5050. Possibility to use the strip as a strip in one, even turning on only the cold white. The possibility of obtaining shades of color better thanks to the addition of the white cold. The color white is a pure white 6000k with quality far superior to that obtained with the regular color strips.